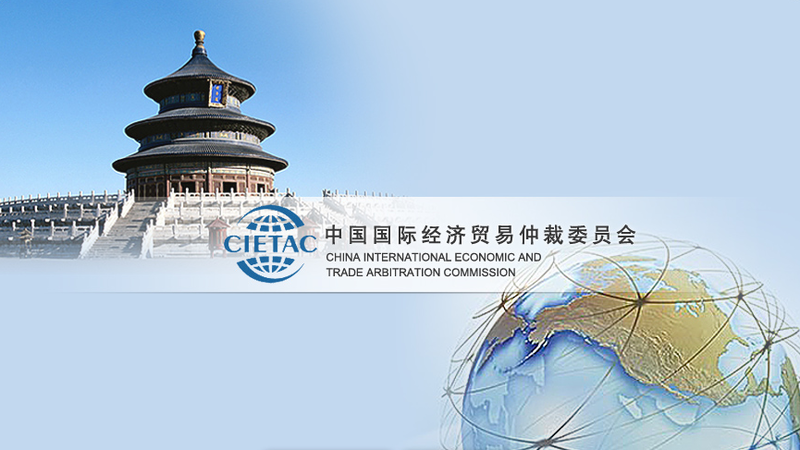 The China International Economic and Trade Arbitration Commission (CIETAC) is the most important Arbitration Commission in China and one of the biggest permanent arbitration institutions in the world dealing with international, foreign-related and domestic cases. Its awards are recognized and enforced in more than 140 countries worldwide. Under the 2012 rules disputes submitted to CIETAC could be resolved in accordance with the arbitration rules of other institutions if the parties have agreed to it which was not possible under the 2005 rules that only allowed the application of CIETAC Rules[ii]. Under the 2005 rules Mainland China was the place of arbitration by default when the parties didn’t provide a clear agreement on this issue. Under the 2012 rules the place of arbitration could be other than China when not specified by the parties depending on the circumstances of the case[iii]. Multiple CIETAC proceedings may now be consolidated in only one proceeding if the parties agree to it which was not possible under the 2005 rules. The consolidation of proceedings has the advantage of avoiding risks of inconsistent decisions resulting from the different arbitrations, and to reduce the cost and length of arbitrations[iv]. The parties have been always allowed to agree on the language of the arbitration. However, under the 2005 rules in the absence of such agreement Chinese was the default language. Under the 2012 rules, there is not a default language in case of absence of agreement. Instead CIETAC will choose the language, which could be Chinese or any other, depending on the circumstances of the case. Nevertheless, we strongly recommend to parties to make a clear indication that English is the chosen language to avoid any potential controversy. Conservatory or interim measures according to Chinese Law can only be granted by the People´s Courts. However, under the 2012 rules where the interim measure is to be taking in a jurisdiction other than China, arbitral tribunals are empowered to grant such measures in accordance with the applicable law[v]. We strongly recommend consulting your Chinese counsel for further details and advice. Under CIETAC rules arbitral tribunals are allowed with the consent of the parties to conciliate or mediate a dispute during the course of the arbitration. However, under the 2012 Rules the parties can be assisted by CIETAC rather than the tribunal as it used to be specified on the 2005 Rules[vi]. According to the 2012 CIETAC rules disputes with a threshold of less than RMB 2 Million will be subjected to the summary procedure, the 2005 rules threshold was less than RMB 500,000. However, disputes which value exceeds RMB 2 Million could also be processed under the summary procedure if the parties agree[vii]. Please note that some CIETAC branches or Sub-Commissions (Shanghai, Shenzhen and Tianjin) have decided to reject and not apply the 2012 Rules. [i] Mun, Catherine, ´New CIETAC Arbitration Rules 2012’ (07 May 2012), available at: http://tinyurl.com/btmhdrq (last accessed 08 August 2012). See also, ‘Arbitration Alignment’, Asian Legal Business ‘ALB’ Magazine- May 2012 Ed., pag. 14-18 and D’Angostino J. & Smith H. LLP, ‘Key Changes to the CIETAC Arbitration Rules´(11 April 2012), available at:http://tinyurl.com/93kv36y (last accessed 09 August 2012). [ii] Article No. 3(3) of the 2012 CIETAC Rules. [iii] Article No. 7(2) of the 2012 CIETAC Rules. [iv] Article No. 17(1) of the 2012 CIETAC Rules. [v] Article No. 21 of the 2012 CIETAC Rules. [vi] Article No. 45(8) of the 2012 CIETAC Rules. [vii] Article No. 54(1) of the 2012 CIETAC Rules.